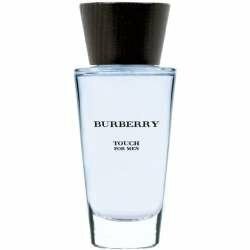 Touch for Men by Burberry is a Woody Floral Musk fragrance for men. Touch for Men was launched in 2000. The nose behind this fragrance is Jean-Pierre Bethouart. Top notes are artemisia, violet leaf and petit grain; middle notes are nutmeg, white pepper and cedar; base notes are tonka bean, vetiver and white musk.